Cosmas Indicopleustes was a Greek merchant from Alexandria of Egypt, who made several voyages to India during the 6th Century and he produced some of the earliest and most famous world maps. However, despite the majority of sailors and astronomers of the time believing that the earth was a sphere, Cosmas staunchly believed in flat earth cosmology, writing ". . . But should one wish to examine more elaborately the question of the Antipodes, he would easily find them to be old wives’ fables. 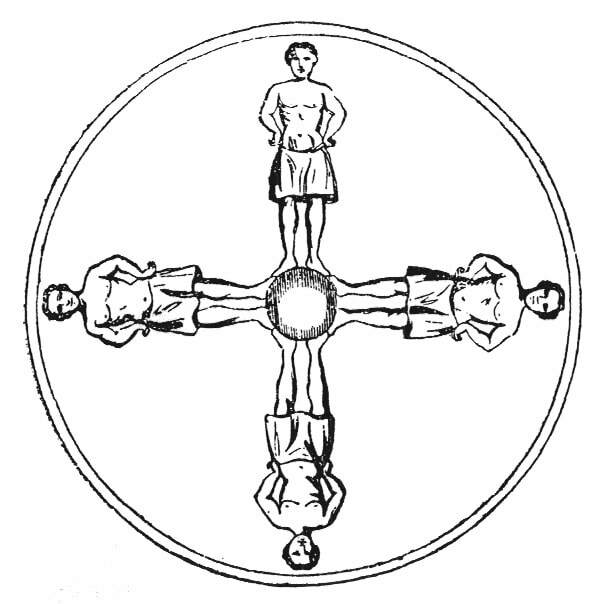 For if two men on opposite sides placed the soles of their feet each against each, whether they chose to stand on earth or water, on air or fire, or any other kind of body, how could both be found standing upright? The one would assuredly be found in the natural upright position, and the other, contrary to nature, head downward. Such notions are opposed to reason and alien to our nature and condition." 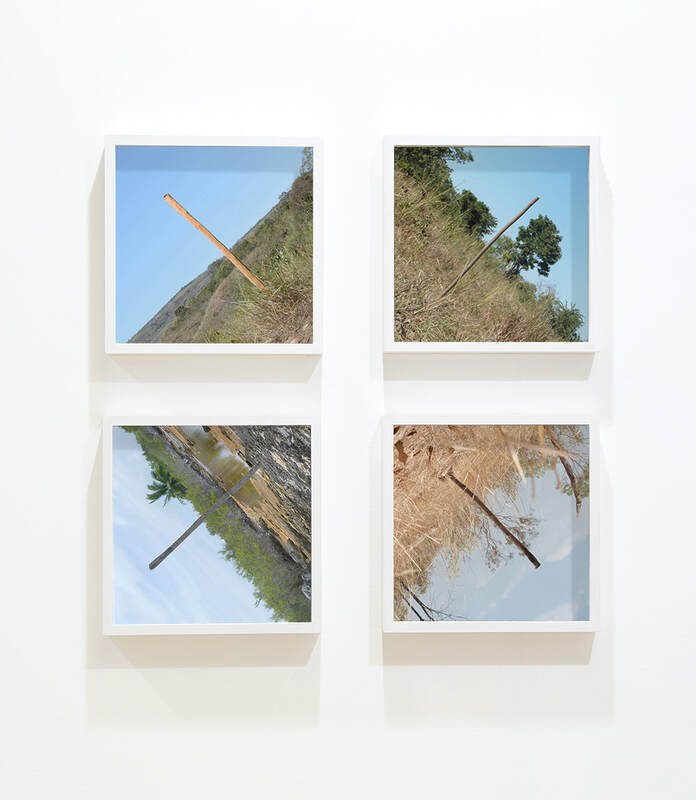 ‘X’ is formed of vertical wooden sticks located in Mozambique, Central Brazil, Western Australia and French Polynesia, four locations of equal latitude and separated by exactly 90° in longitude. Originally visited to create the work 'We are all Astronauts', local collaborators followed precise GPS co-ordinates to locate the 'four corners of the earth'. A piece of local wood was driven into the ground in each location and photographed from the north looked due south, into Cosmas’ land beyond reason.